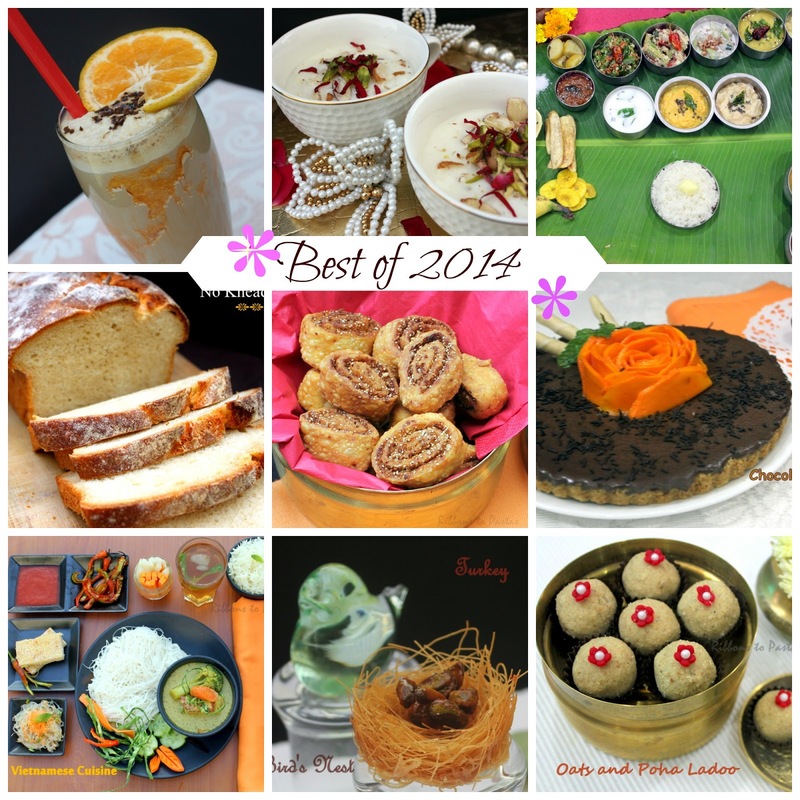 The Best of 2014 ! !.Life is a journey and we are for ever running with time standing still when we are low and flying away when good times come.I would never have thought of jotting down some of my moments of this year but with Valli announcing this event I felt it was a wonderful way to share some of my chapters from this year. 2013 ended with a very sad note where I lost my MIL,but with the beginning of a new Year we knew we had to start fresh . My son's wedding had been fixed for 1st March and an Indian wedding needs lots of preparations.Blogging took a back seat and I could only blog a craft post in Feb wishing my would be daughter in law. The wedding was lots of fun and I was happy that Valli , Archana and Nandini could make it for the wedding. Life took a turn with a new member in the family, and I could only get back to blogging with the April Mega Marathon. Every year we have two Mega Marathons where we post everyday and work on a particular theme. The April Marathon was all about Indian Traditional Food. We cooked alphabetically from Indian states. The marathon seemed quite easy but trust me it was very challenging, specially cooking from East Indian States. The second Mega Marathon was in September, like every year . This year we went Around the world in 30 days and cooked International Cuisine. I have always loved to cook from various countries, but have been restricted to only a few . This gave us a chance to explore the world, again we went alphabetically. I have tried not to miss the regular three day BM'S. These routine ones give me a chance to jot down my everyday dishes so my children can refer when need arises.The regular BM also gives me a chance to cook new dishes. I must admit that it is Valli who has got us deeply involved with our approach to better thinking , cooking. I made my first bread loaf, my first ever ladoos ....i would have never made these without Valli giving us those themes. Working on different recipes is fine, but presenting them is another story, I love to present them with different props, but getting them organized in a pictorial recipe index seemed a dream and I must thank all my fellow bloggers to inspire me . A special note of thanks for PJ , ...but for you it would have been a task. Thanks dear!! I cannot complete my post without talking about Indian Cooking Challenge , where we cook monthly a Indian Traditional Dish, it is a challenge which I hate to miss. The year has flown by and it is the end of year, December is a month when I look forward to my daughter coming in from Japan. A month which is full of joy and happiness. The month will end and we shall begin a New Year 2015! !, a year which has so much to look forward...but that shall wait as of now. 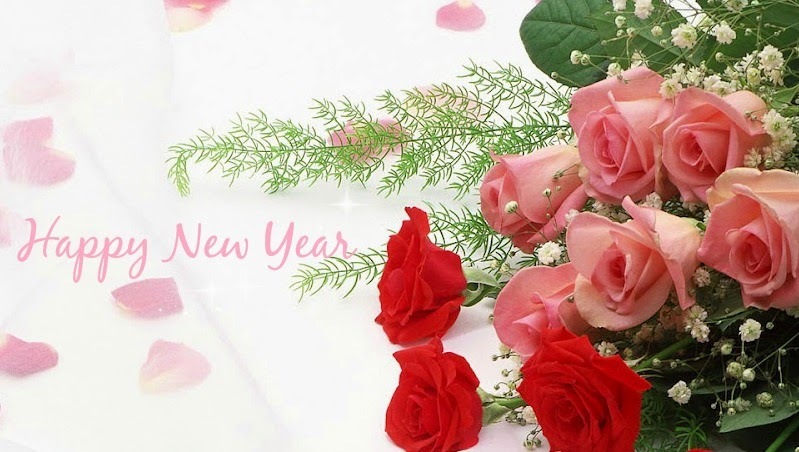 Wishing all my viewers and friends a very Happy New Year ! Happy Cooking!! and Happy Blogging!! !